In Years 7, 8 and 9 students complete four core modules of work each year, each unit lasting half a term. The summer term uses extension materials to refresh key skills in preparation for examinations; the final half term offers opportunities for independent study. We aim to cover a broad and stimulating range of genres across all years, inviting students to enter a variety of local and national writing competitions. Independent reading is also encouraged and supported through KS3 reading schemes and extra-curricular activities such as The Carnegie Shadowing Scheme, Book Week and the Southern Schools Book Award. By the end of KS3, students should be able to read accurately, fluently and sensitively, write expressively and accurately, and speak and listen with confidence. All students are fully prepared for the rigours of GCSE. 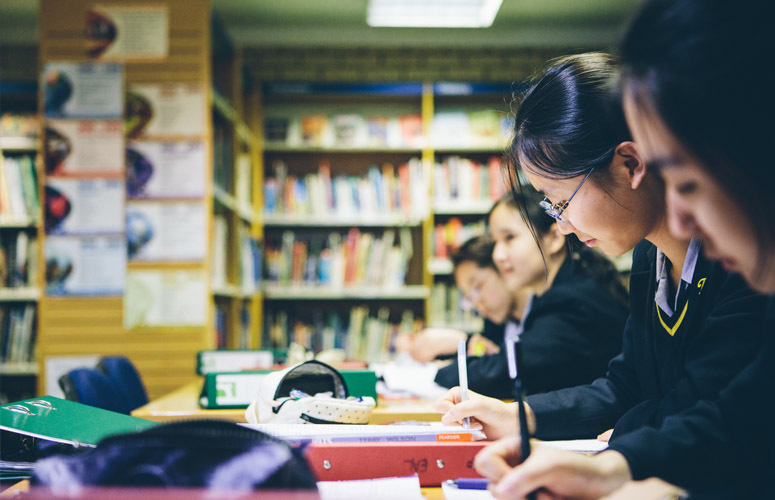 In Years 10 and 11 students follow a combined course leading to two separate qualifications – GCSE English Language and English Literature. The department is using the new AQA specifications. Both courses develop key skills which underpin learning across the curriculum: analytical reading and interpretation, the manipulation of a variety of forms and styles, and speaking and listening in various contexts such as individual presentations and group discussion. In English Language, students respond to 19th, 20th and 21st century texts; English Literature includes study of a 19th century novel, a whole Shakespeare play, and a selection of poetry.